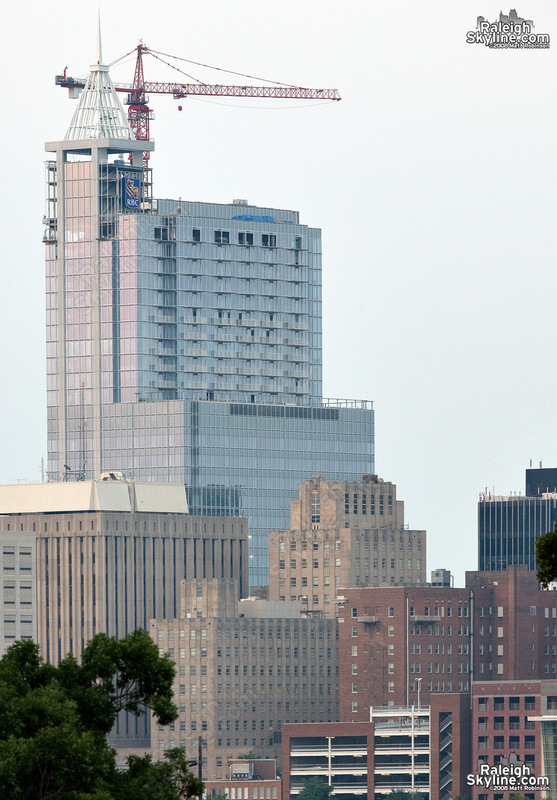 Downtown Raleigh’s tallest object ever is coming down. The crane that stood since the beginning of construction of RBC Plaza and rose to over 600 feet is being disassembled. I wonder what building it will work on next? Edit: I also noticed the scaffolding inside the crown is itself being disassembled.